Home/Blog/Ready to Shredd that winter weight? When summer hits do you take off those layers and wonder, what the hell happened? Life gets in the way and we forget how important our own health and wellness is. With swimsuit season right around the corner, make yourself a priority by joining our fitness community. 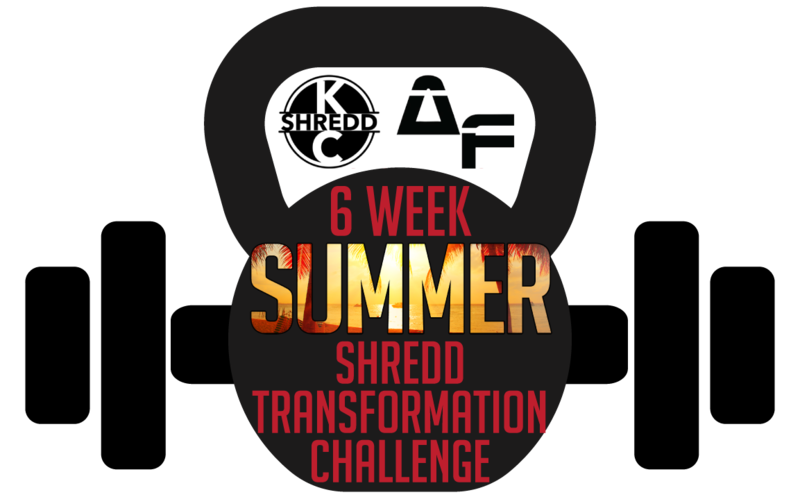 Our 6 week summer blitz challenge will have you burning fat, gaining lean muscle, eating healthy and feeling amazing both inside and out. At the end of the February we wrapped up our New Year challenge. Shane, our biggest winner won a total of 51lbs and 58 inches overall! “It was rough to start but after the first week I started to see and feel results. I was sleeping better, I had a lot more energy and I could think clearer” says Shane. Shane has made this a lifestyle and plans to keep going. “They encouraged me to start and keep going and made me feel like I belonged there”. This challenge is great for all fitness levels. We take pride in being a non-judge mental fitness community that welcomes everybody. It’s not about who lifts the heaviest, or who runs the fastest. We are about community working together to help one another reach their goals. Our strength focused workouts will have you burning calories and gaining muscle. Shauna came to Shredd in January looking to kickstart her weight loss after hitting a plateau at home “From the first day I stepped into Shredd I felt welcomed. I was nervous but soon I felt like I was part of a community. We encourage one another on hard days and push each other to be better. Shredd has changed my life. I’ve lost over 15lbs and 18 inches during the challenge and I don’t plan to stop” says Shauna. But the truth is, fitness isn’t only about losing weight or looking a certain way. It’s also about being healthy and creating a lifestyle. With our 6 week program you will gain knowledge on how to fuel your body with healthy foods (NOT A DIET) and how to outtrain bad food habits. We will have you eating healthy, enjoying cooking and loving the way you feel from all the clean eating. Billy joined our 6 week challenge wanting to lose weight and correct his blood pressure, “My blood pressure was extremely high. I couldn’t sleep. I always felt sluggish. It was time for a change. Since doing the challenge I’ve lost 49.5lbs and my blood pressure has dropped drastically” Billy said. The number one reason people fail in their fitness journey is due to lack of support and accountability. During the challenge you will be working closely with a coach who will help guide you and encourage you through every step of the way. Yourself and others will be pushed by our amazing motivational team. You’ll be held accountable all the while having a great time. We are passionate about getting clients the results they want whether you have a lot of weight to lose, or just a little, we are here for you. Come be part of our amazing fitness community and get in the best shape of your life! Be your best. Shredd the rest.